I have a few talents. I can write. I am a decent cook and baker. I have a pretty good eye for interior design. I am not, however, crafty. Every so often, however, I decide to try to create something. Usually I am able to overcome this urge by buying something on Etsy or distracting myself by taking care of one or even both of my children. But sometimes, against my better judgement, I make an effort. Today was one of those days. Maybe it is because I've been feeling guilty having to miss the birthday celebration at Jelly's school. Or maybe because this particular project seemed so damn easy I couldn't possibly screw it up. Regardless of whatever misguided reason I had, I went for it. 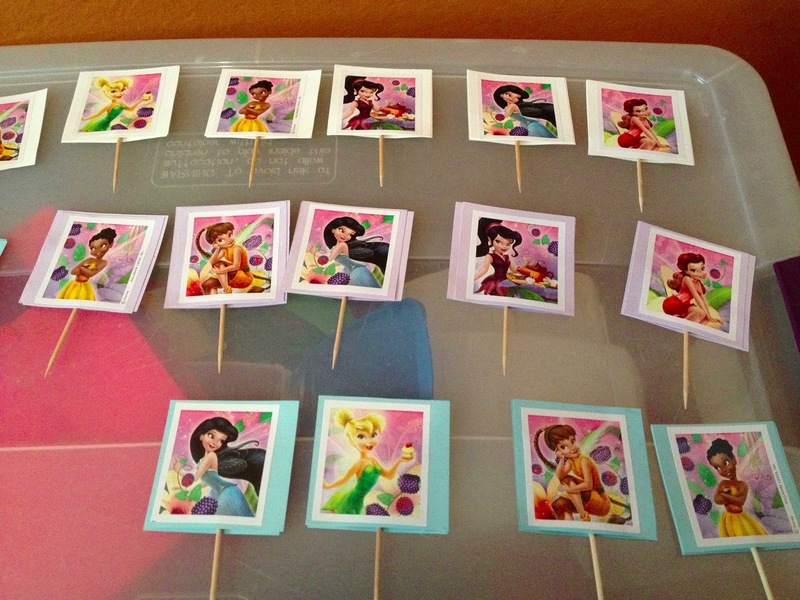 Do make sure you know your daughter's preferences: chocolate cupcakes, green frosting, Tinkerbell toppers. Do create Pinterest board for Tinkerbell cupcake ideas. Do not take daughter to party store where she can change her mind seventeen times. 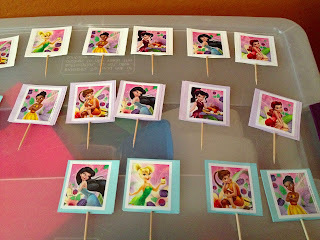 Do buy perfect stickers for cupcake toppers. 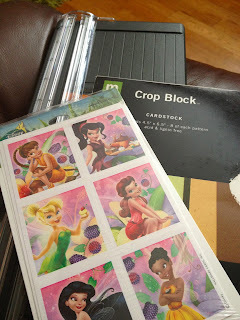 Do talk daughter down to one package of additional fairy puffy stickers and Tinkerbell napkins that you weren't going to buy because the bounce house place provides everything but if it will make her happy for God's sake I just want to get out of here. Do plan out schedule: Tuesday: start toppers. Wednesday: finish toppers. Thursday: make one batch of cupcakes. Friday: make second batch of cupcakes. Friday night: have friend come over for drinks and frost cupcakes. 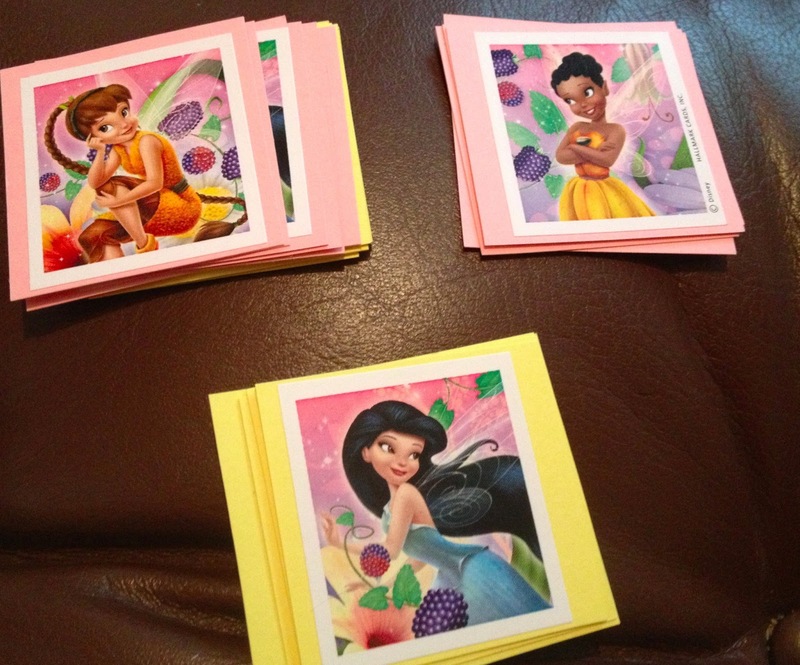 Do feel good about yourself when you manage to put on stickers and cut squares out of paper. You are a crafting rock star! Do not forget to take pictures along the way, so take a hastily assembled one after the fact. Do not forget schedule the next day and decide to watch TV instead. 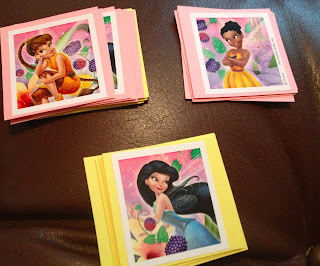 Do use son's time with ABA therapist to finish toppers, putting self back on schedule. 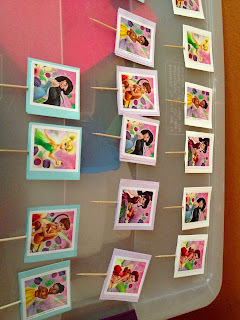 Do assemble craft supplies: previously created stickers on paper, toothpicks, tape and glue. Do use tape to attach toothpick to back of card, making sure fairies head will be pointed UP. Be proud of self for thinking of this in advance. Do immediately text friend to get opinion on whether each topper should have the same fairy on both sides of the topper or two different fairies. Obsess over whether it will be better for four year olds to have two fairy options per cupcake or if they should just stick to one, limiting the number of opportunities for each kid to have any given fairy. Friend says one fairy per cupcake. Go with that. Do quickly count and make sure you have an even number of fairies. Do use Elmer's white glue to attach the two matching fairies back to back, again ensuring heads remain facing up. Do remember how it is impossible to do anything with Elmer's white glue without getting it everywhere. Do not get sidetracked covering fingers in glue and then peeling it off. Do line up completed toppers side by side, so they won't stick to each other. Do take photo. Do not explain that they are on top of a plastic bin containing the Little People farm because that is the only flat surface in the house that does not have a pile of junk on it. Do edit photo to be facing correct direction. Do not run out of glue. Do not use a glue stick, as you will find that it is not sticky enough. Do not find another unused bottle of glue, attempt to use, and find out that the glue has somehow separated like an old bottle of ketchup, leaking a clear watery substance before white gluey part comes out. This glue will also not stick. Do take to the internet to complain about glue battles. Friend will suggest tape. Do remember you have double stick tape. Do not take out tape to realize that dispenser has broken. Do get scissors so you can cut pieces of tape. Do wish that you had just done this from the start. Do not run out of regular tape before finishing toppers. 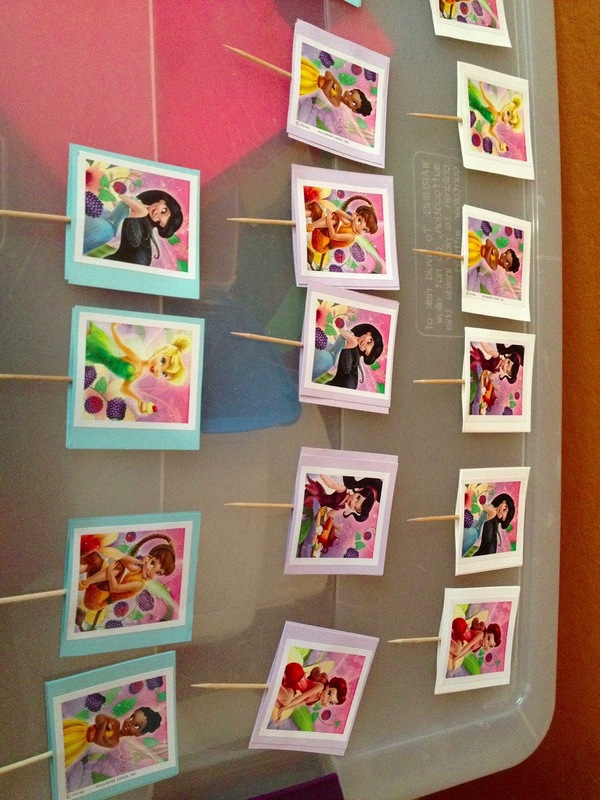 Do count how many you've done and realize that if the adults don't have toppers you've made enough. Do realize that the pink Tinkerbell, which is probably the one daughter will want, hasn't been made. Do find another roll of tape in daughter's craft box. Do sigh in relief. Do not let double sided tape attach onto itself and be completely unable to find starting point. Do use extreme caution when using scissors to cut into double stick tape roll to make a new starting point. Do take pictures of final product and declare success! UP NEXT: Making the cupcakes! I love this. This is the best set of instructions for any craft project I have ever seen. I can't wait to see how the cupcakes turn out.